Take dal into a bowl and add water. Wash the dal well and discard water. Add fresh water and soak the dal overnight. For grinding the dal use a mixer grinder or a wet grinder. Here I have used a wet grinder to grind the dal. Discard water from the soaked dal. Add the soaked dal to the wet grinder and add salt. Then add some water (10ml) and grind. Add 5ml water at intervals depending upon the requirement while grinding. Grind the dal till soft to touch. Then beat to fluff the batter. To test the fluffiness of the batter add a small portion of batter to a bowl of water and observe that the batter floats on water. If the batter sinks in water then beat for some more time to make the batter light. If required add few teaspoons of water to get the right consistency as thick batter will not be fluffy. Prepare the batter and keep it aside. Spread a paper napkin in a plate and keep it near. After frying the garelu spread them on the paper napkin to soak excess oil. Heat a pan and add oil to it. Wet your fingers and take a small portion of the batter and shape into a round ball. Flatten the batter ball with the thumb. Dip thumb in water and make a hole in the flattened batter with the wet thumb. Making hole in the flattened batter and frying gives evenly fried garelu. Drop the prepared batter carefully in the hot oil. Fry on medium heat. After few seconds the dumpling floats on oil carefully turn the dumpling with a slotted ladle and fry. Drop few more dumplings sufficient for the oil taken. Fry garelu on medium heat turning till they turn golden in color. Take out the fried garelu with a slotted ladle and place them on paper napkin which will soak excess oil. 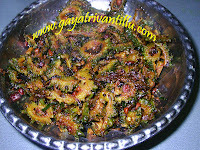 Like this prepare garelu and serve hot with coconut chutney and allam pachhadi or any other pickle of your choice. Now let us learn to make masala garelu with the same batter. To the remaining batter add sliced onions, chopped ginger, chopped green chili and chopped curry leaves. Mix well and the batter is ready to make masala garelu. Wet your fingers and take a small portion of the batter and shape into a round ball. Flatten the batter ball with the thumb. Do not make any hole for the masala garelu as you made for ordinary garelu. Drop the prepared batter carefully in the hot oil. Fry on medium heat. After few seconds the dumpling floats on oil carefully turn the dumpling with a slotted ladle and fry. Drop few more dumplings sufficient for the oil taken. Fry masala garelu on medium heat turning till they turn golden in color. Take out the fried masala garelu with a slotted ladle and place them on paper napkin which will soak excess oil. Serve them hot with chutneys of your choice. The quantities shown here are very less—you can double the quantities for larger proportions. Soaking the dal overnight gives the right texture to the batter. However in emergencies soak dal for 4 to 5 hours and make the batter. Add salt while grinding the batter. Adding salt after the batter is prepared may thin down the batter. When salt is added it brings moisture. So it is better to add salt first and then add water while grinding the dal. This way we can have control on the consistency of the batter as we will use less water. Water added while grinding the dal takes the major role in preparing the garelu. For the quantity of dal shown fere, add 10ml water first and start grinding. As the dal mixture becomes thick add 5ml in intervals and grind. Adding more water may thin down the consistency. When the batter is thin it will be difficult to shape the dumplings—they also soak excess oil when fried. If the batter is thick the dumplings will not be cooked from inside. Hence, adding water while grinding plays an important role in the making of garelu. Next important thing in the making of garelu is fluffing up the batter. beat the batter well with fingers or a spoon to incorporate air and make the batter fluffy. The fluffy batter when made into dumplings and fried gives a spongy garelu. To test the fluffiness of batter, drop a portion of batter in a bowl of water and observe the batter. if the batter sinks then the batter is not fluffy enough. If the batter floats the batter is of right consistency and is ready for frying garelu. 1. Batter is not beaten well to incorporate air to make it fluffy. 2. When the batter is too thick. Add a teaspoon of water and mix well in the batter and beat it to make it fluffy. Add more water (In teaspoon measures to have a control) if required and make the batter fluffy. To test the lightness of the batter drop a portion of the batter in a bowl of water and see that the batter floats. While making flat shaped dumplings, if it is inconvenient to make them with single hand, use a plastic cover or your other hand to shape them. Fry the garelu on medium heat only. Otherwise they will get nice brown color from outside but will not be cooked from inside. Do not stuff the pan with more dumplings. Leave enough space for the garelu to move around for even frying. Turn the dumplings to get fried evenly. For masala garelu add seasonings according to taste and the quantity of batter used. Serve hot garelu and masala garelu with coconut chutney or allam pachhadi or any chutney of your choice. i am a big fan of ur vantalu.now i have got a small problem...i made garelu batter but somehow i am not able to make garelu....jaaru ayindhi anukunta.aa garela pindi tho inka yemina cheyocha?plzzzz suggest from ur experience.thanks alottt. You may try to add a bit of rice flour or rice paste and attempt Dosas !!! i like all your recipes. 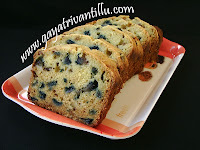 i would really appreciate it .. if you could please post a recipe on making "kanda attu ". I a regular visitor to you web site your receipies and narration is very good Can you show how to make Masala vada on your site.